Inspired by Paige Tighe’s Walking Artist Network invitation to walk hand in hand at Half Moon Bay on 4/1/14. 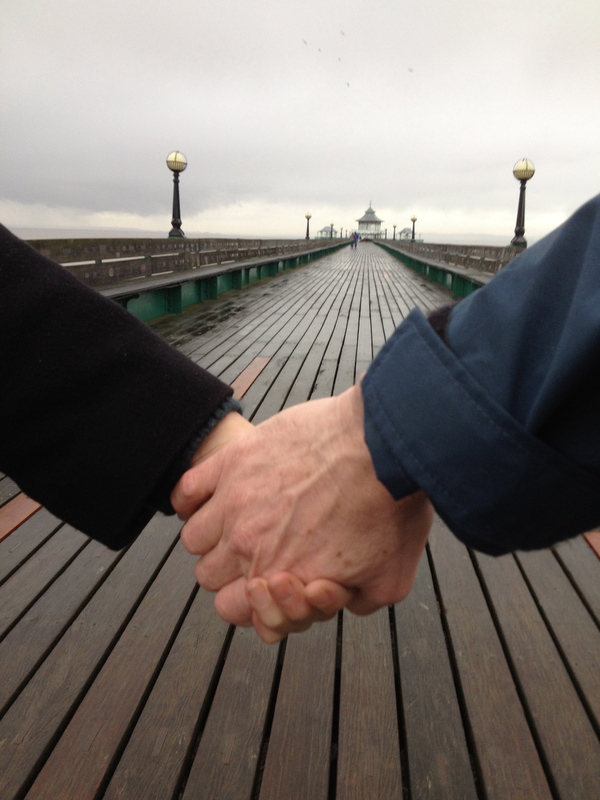 Lorna Brunstein and I walked at Clevedon and we walked hand in hand up Clevedon Pier on 4/1/14. Paige had invited us to share this moment so we did, not quite being present as there was some uncalculated time difference. But there was a liveness, a spark, a crisp focus to the day. The knowledge that elsewhere in the world others were doing the same, purposefully, helped sharpen the edge. And feed my excitement. The previous night had seen a massive storm, the beach was scoured, rocks and pebbles on the promenade and tree limbs on the tide line. 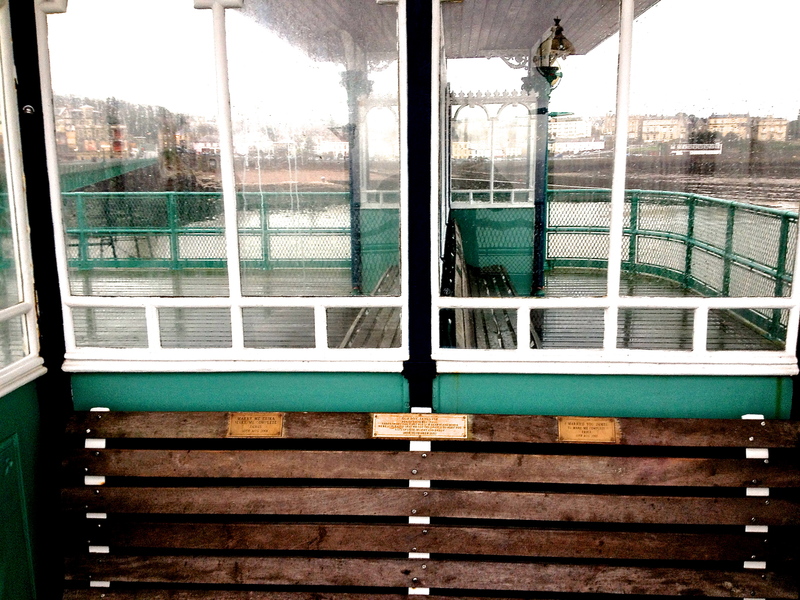 We wondered if the pier would be open. 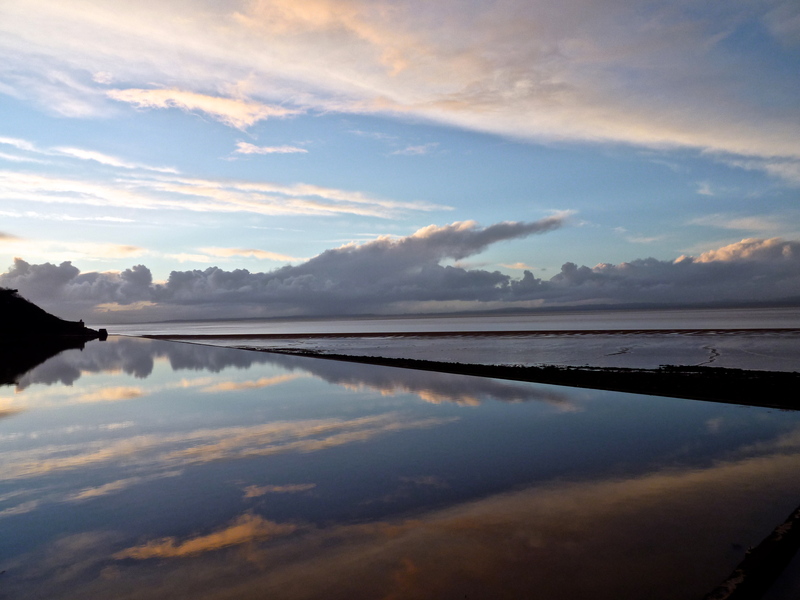 As we arrived we saw its delicate lines shimmering over a flat calm sea. A steady, sharp, cold breeze was gathering strength behind the next line of cloud and rain in the west. We walked hand in hand. It felt good to connect and to share the experience. Life, love and art combining. Getting a decent shot was a challenge and it seemed that it should be self shot… a ‘handie’ ? 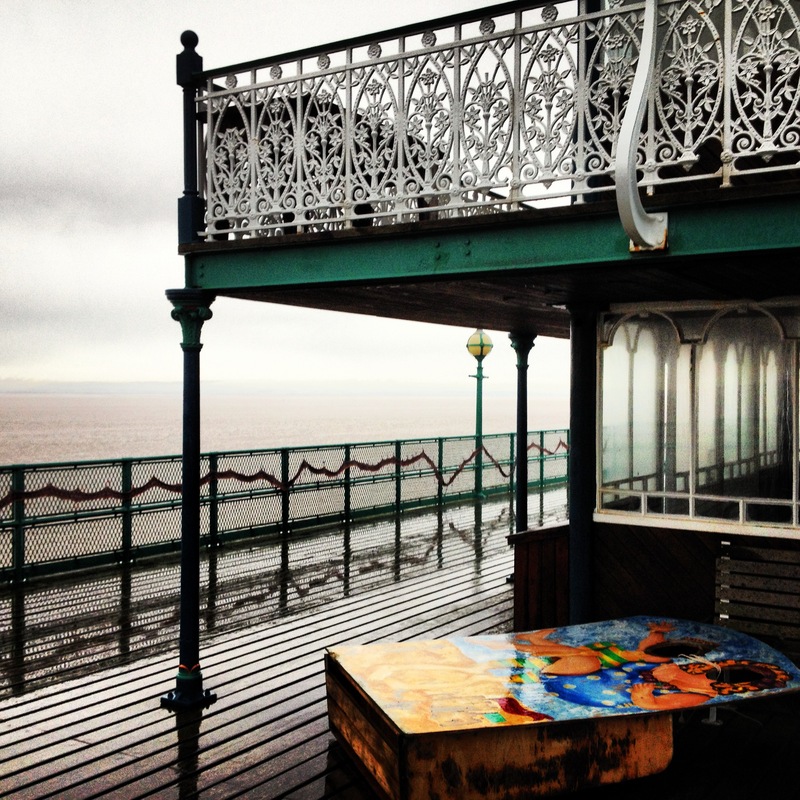 I really wanted to get the location in and had thought about the pier as a perfect place for it. We had the pier to ourselves and we when arrived at the glass and filligree palaces, turrets and shelters from the wind at the distant end we explored. 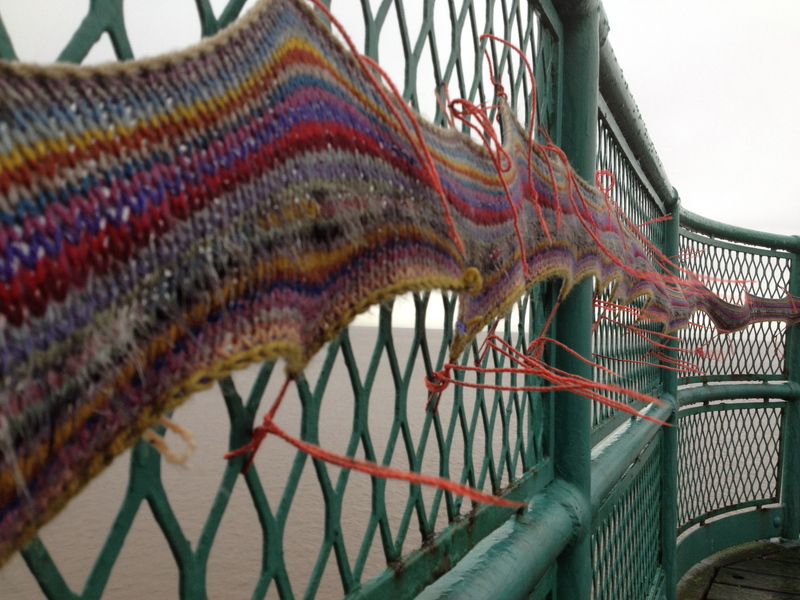 Other artists had been there before and the railings were decorated with a long strip of knitting. 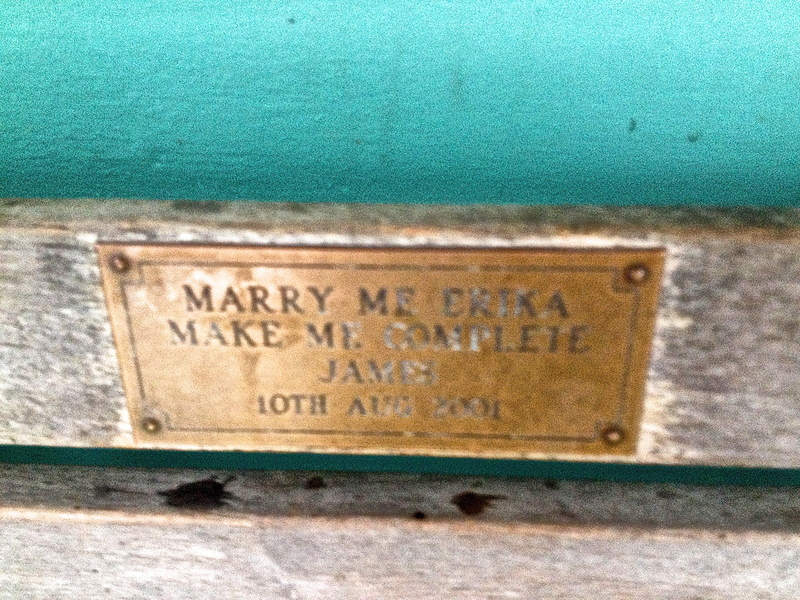 A storm blasted painted wooden photo-me booth was tethered to the ironwork. 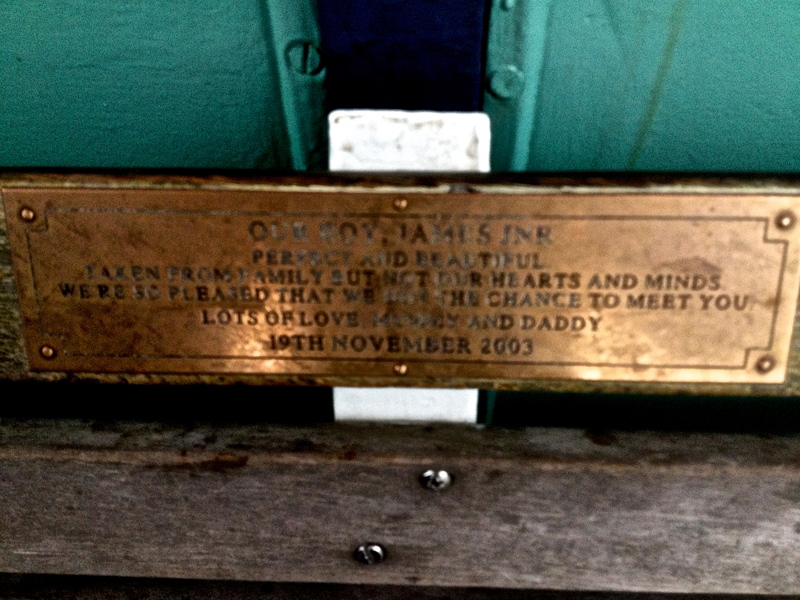 The wooden structure of the pier is tagged with brass plaques commemorating loves and lives. 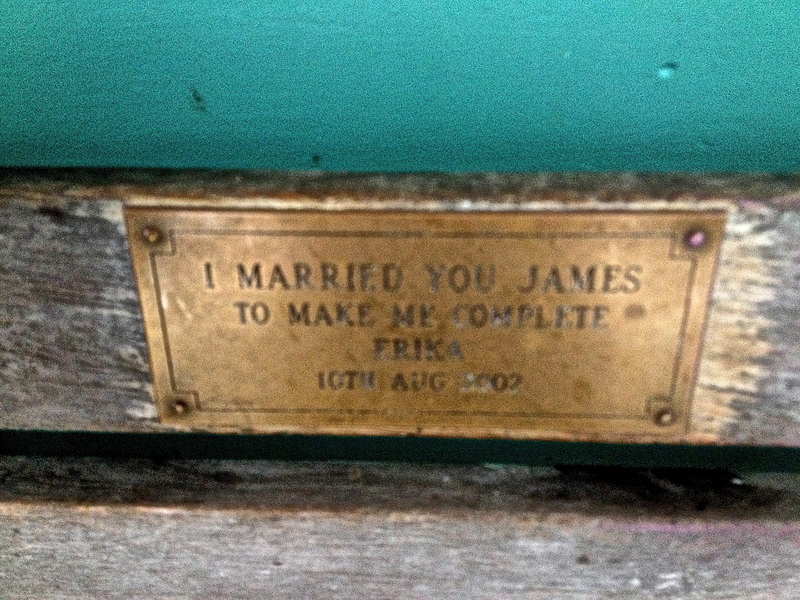 I was completely taken aback at the bench in a booth facing out across the channel towards Wales, see previous post. We reflected on our love and life in that moment and the unimagineable loss of a child. Chastened by sober thoughts we found ourselves in a cafe overlooking the great sweep on the channel and here connected with the networked world. A small lightning strike of excitement as I posted and then received a US breakfast time acknowledgement. The day ended in a glory of reflections. Sharing awe with other walkers and visitors and connecting across the globe to wherever Half Moon Bay is. As we walked back from the headland a sliver of a new moon shone from a purple black dusk sky. 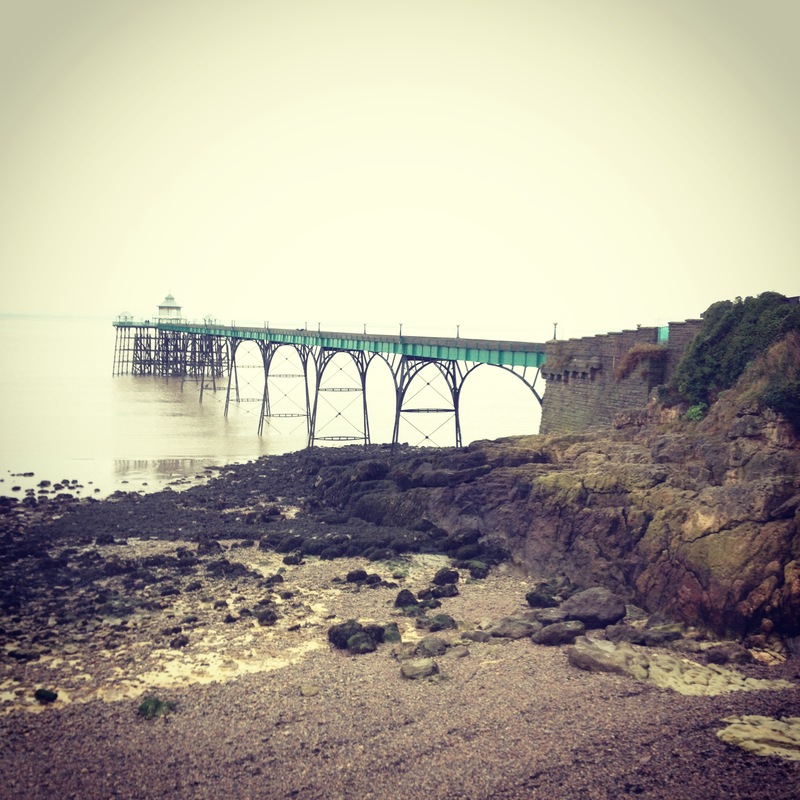 Tags: Clevedon Pier, Half Moon Bay, reflection, walk | Permalink.